THEN - The wooden building housing the original Rosewood Grocery was built in 1893 by store owner John Birkhold. Photos courtesy of the Champaign County Historical Society and Deb Lewis. NOW - The present-day Rosewood Grocery - on the same site - was built in 1932 by John’s son Oscar. Except for two years in the late 1990s, the store has been in continuous operation for 135 years. Deb Lewis, shown in the photo and provider of the THEN photo, has been the store’s owner since 2014. Presently, the building also has a branch bank and a U.S Post Office. The Champaign County Historical Society strives to highlight historical people, places and events throughout Champaign County. We therefore ask that if you have photos of historical significance that you believe would be of interest to Champaign Countians, please contact us at 937-653-6721. 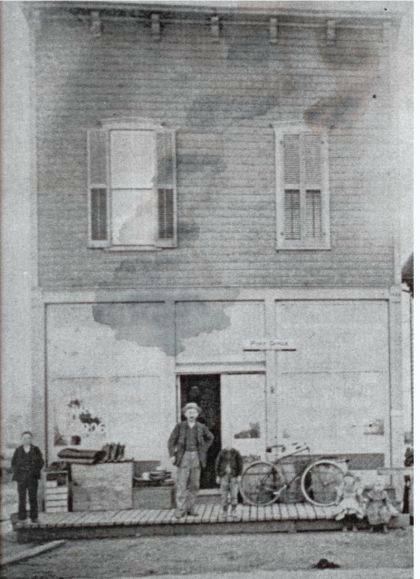 THEN – The wooden building housing the original Rosewood Grocery was built in 1893 by store owner John Birkhold. 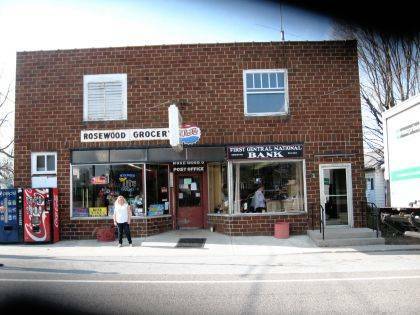 NOW – The present-day Rosewood Grocery – on the same site – was built in 1932 by John’s son Oscar. Except for two years in the late 1990s, the store has been in continuous operation for 135 years. Deb Lewis, shown in the photo and provider of the THEN photo, has been the store’s owner since 2014. Presently, the building also has a branch bank and a U.S Post Office. The Champaign County Historical Society strives to highlight historical people, places and events throughout Champaign County. We therefore ask that if you have photos of historical significance that you believe would be of interest to Champaign Countians, please contact us at 937-653-6721.
https://www.urbanacitizen.com/wp-content/uploads/sites/36/2018/04/web1_ThenWeb.jpgTHEN – The wooden building housing the original Rosewood Grocery was built in 1893 by store owner John Birkhold. Photos courtesy of the Champaign County Historical Society and Deb Lewis. https://www.urbanacitizen.com/wp-content/uploads/sites/36/2018/04/web1_NowWeb.jpgNOW – The present-day Rosewood Grocery – on the same site – was built in 1932 by John’s son Oscar. Except for two years in the late 1990s, the store has been in continuous operation for 135 years. Deb Lewis, shown in the photo and provider of the THEN photo, has been the store’s owner since 2014. Presently, the building also has a branch bank and a U.S Post Office. The Champaign County Historical Society strives to highlight historical people, places and events throughout Champaign County. We therefore ask that if you have photos of historical significance that you believe would be of interest to Champaign Countians, please contact us at 937-653-6721. Photos courtesy of the Champaign County Historical Society and Deb Lewis.